Insert with glass door KALLAX. To be completed with KALLAX shelving unit. The insert looks nice in a room divider as the back has also been finished. Key features. 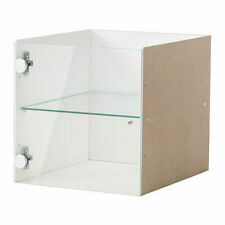 Door/ Shelf: Tempered glass. Wipe dry with a clean cloth. Shelving unit FLYSTA. Weight:16.00 kg. Depth:31 cm. Height:15 cm. IKEA KALLAX. 4 BOX CUBE STORAGE UNIT. CAN BE WALL HUNG - FIXING INCLUDED. CAN BE PLACED UPRIGHT OR ON ITS SIDE TO SUIT YOUR SPACE. Kallax Shelf Insert. You can use the inserts to customise KALLAX shelving unit so that it suits your storage needs. The insert looks nice in a room divider as the back has also been finished. Bought in addition to a drawer insert while I was going, but opted to use the shelves instead. Cabinet LIXHULT. It all depends on which of the 3 cabinet sizes you choose. The cabinet can be used either with the included legs or be placed on the floor. Assembled size. Free height under furniture: 21 cm. Ikea CAPITA. Bar stools with seat height 74 cm fit in well with a bar solution with CAPITA brackets. - Create a stylish bar solution and get more work space by mounting it on a worktop. Tube/ Mounting plate: Stainless steel. IKEA KALLAX. 4 BOX CUBE STORAGE UNIT. CAN BE WALL HUNG - FIXING INCLUDED. 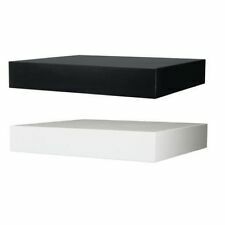 IKEA KALLAX Shelf rack Insert with glass door 33x33cm white free & fast dispatch. Insert with glass door KALLAX. To be completed with KALLAX shelving unit. The insert looks nice in a room divider as the back has also been finished. SET OF 6 IKEA EKBY STODIS SHELF BRACKETS. These are easy to use, strong and subtle against a pale wall. We've used them all around the house! Four screws needed for each bracket, two for the wall and two for the shelf. IKEA of Sweden. Different wall materials require different types of fasteners. Fittings for wall mounting. Width: 77 cm. depth: 39 cm. height: 42 cm. Width: 41 cm. - Choose whether you want to hang or to put him on the floor to the wall. 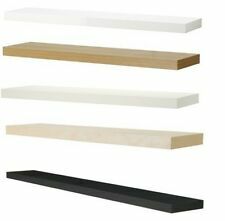 X2 Birch coloured IKEA Ekby Valtar shelf brackets. 18cm x 23cm. New MUSKAN Shelving unit. Shelving unit MUSKAN. IKEA of Sweden. Height: 140 cm. Width: 37 cm. Depth: 37 cm. Length: 160 cm. Width: 38 cm. Folding chair GUNDE. New GUNDE/TÄRENDÖ Table and 4 chairs. Length: 110 cm. Weight: 2.18 kg. Weight: 8.86 kg. Width: 67 cm. Weight: 7.92 kg. Height: 74 cm.